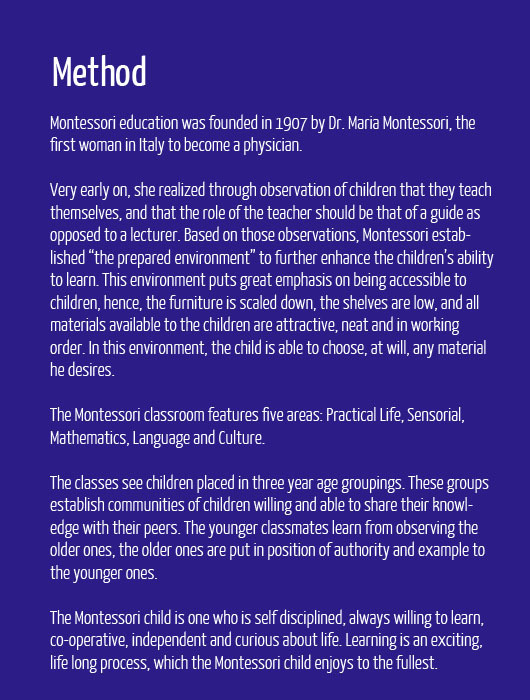 Want to learn more about Rainbow Montessori School? Click here to find out how we offer exceptional child care! Get to know us! 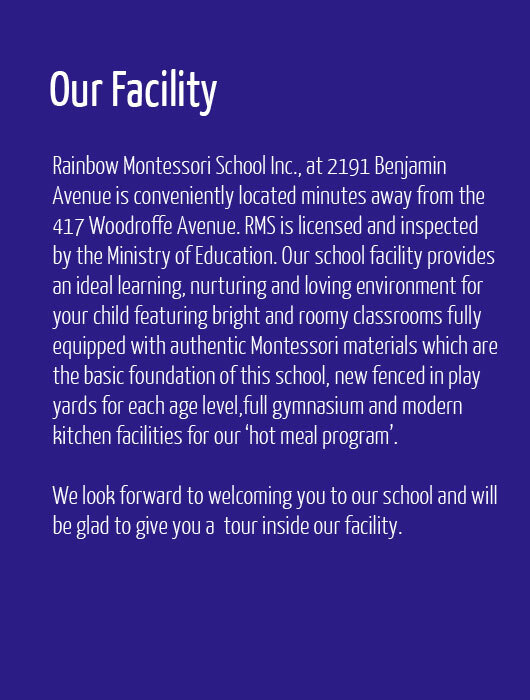 Rainbow Montessori School Inc. is a private school found by Mrs. Shereen Gendron in 1999. This non-denominational institution employs a faculty, administration and support staff of 18.